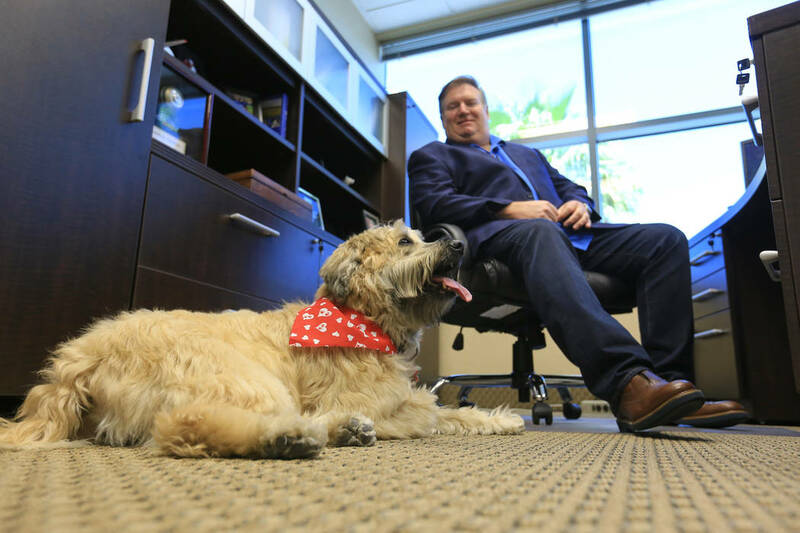 To work for Ken Goodrich, his 9-year-old Wheaten Terrier named Sadie has to approve. When Goodrich, president of Goettl Air Conditioning and The Sunny Plumber, hires a new technician, the applicant goes through background tests, drug tests, skill tests, a personality test, and Sadie’s test. 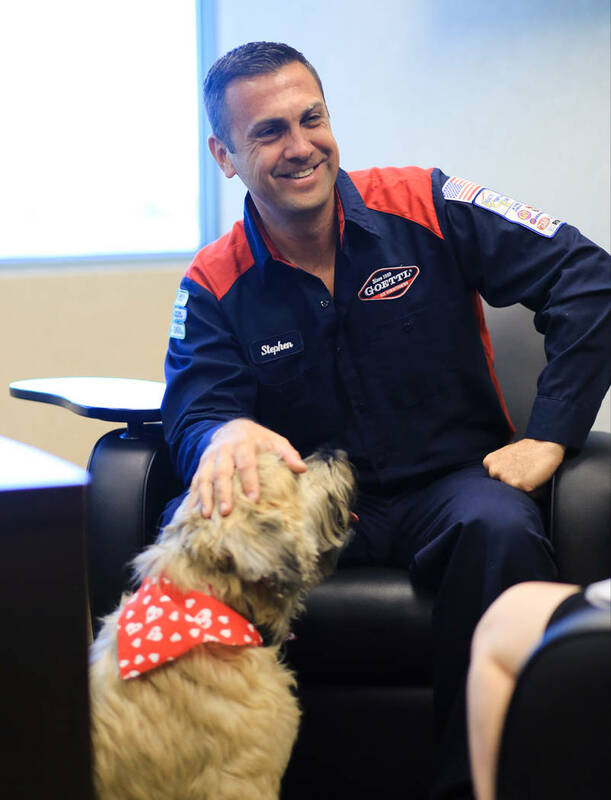 If his dog, wearing her signature bandana, doesn’t like a new technician, then Goodrich says he won’t trust that person in someone’s home. 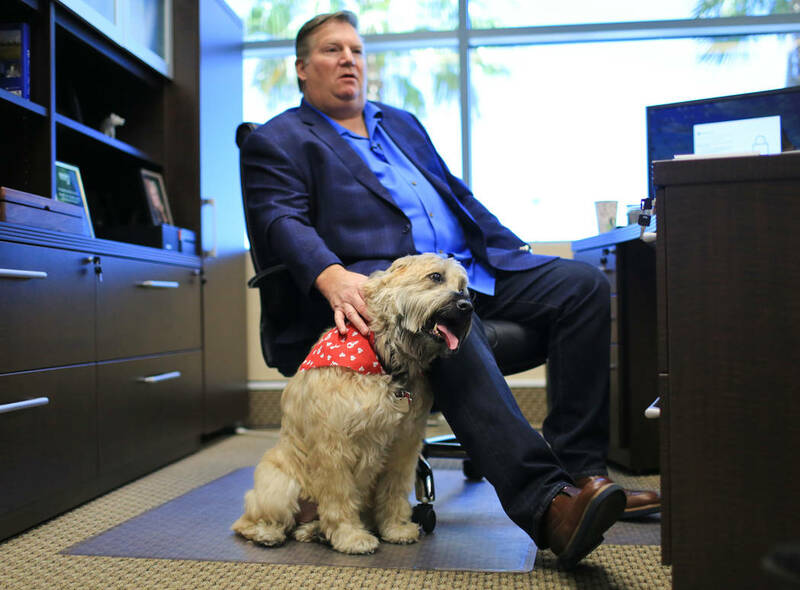 Goodrich purchased the company about three years ago, and it has locations in Phoenix, Tucson, Southern California and Las Vegas. Goettl has grown to about 300 employees, at least 220 of which are “Sadie certified,” Goodrich said. Over the years, about 20 people didn’t make the cut. “I want to make for sure that we’re putting the right people in the house,” he said. Sadie came into Goodrich’s life when his then 8-year-old son visited a pet store looking for a puppy. Goodrich wanted a dog like a golden retriever, but when his son saw a tiny, fluffy Sadie, he instantly fell in love. Goodrich said Sadie was an active puppy: jumping and nibbling at most people who came into the house. 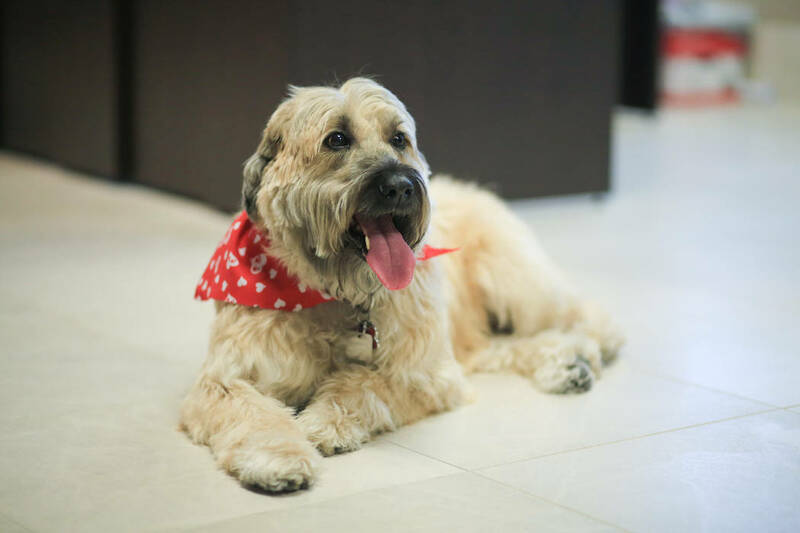 He sought the advice of a colleague who owned Wheaten Terriers and asked how to train Sadie to be calm when meeting new people. 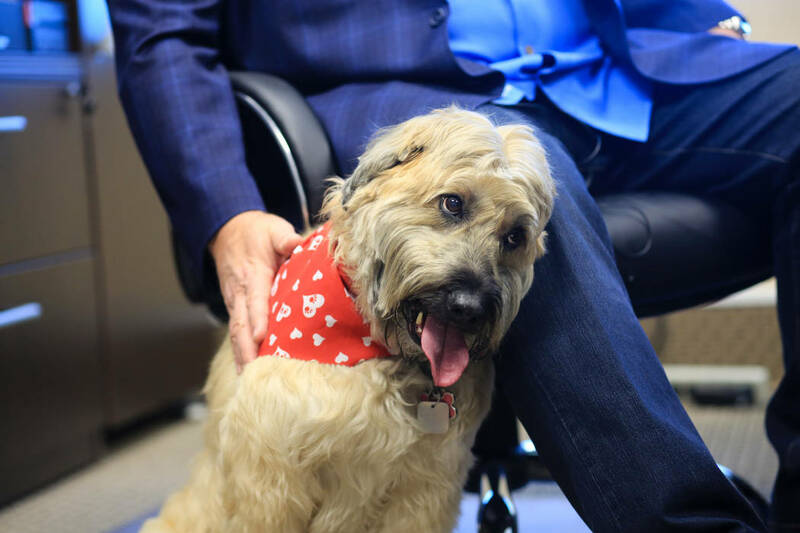 The truth behind the “Wheaten Greetin” didn’t hit Goodrich until a few years later, when he noticed that Sadie disliked a gardener Goodrich had hired. Uncharacteristically for her, Sadie would bark and hide from the man. The gardener ended up stealing Goodrich’s son’s bike. “Right then I kind of put the connection together,” he said. Stephen Gamst said he was a little nervous before meeting Sadie — he had heard about her through the company’s radio commercials. 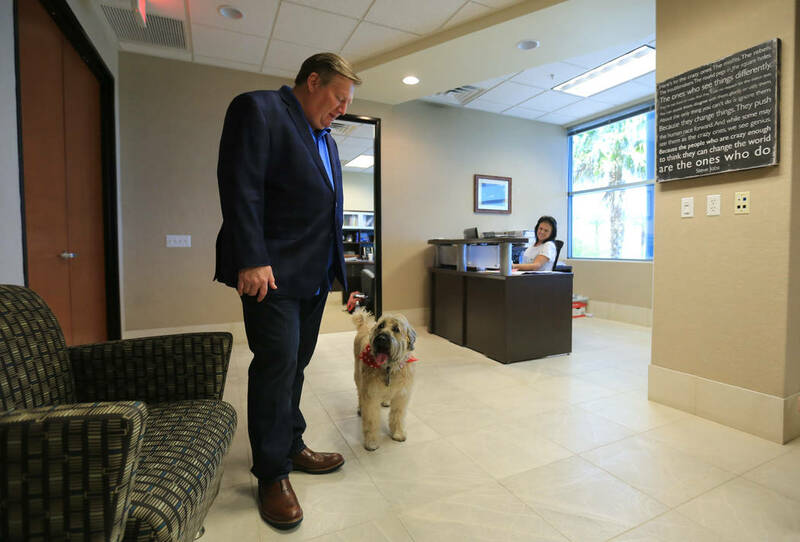 “You feel like this dog has to like you,” said Gamst, who joined Goodrich’s company about nine months ago through a merger but has been an air conditioning technician his whole career. Gamst, 37, said meeting Sadie went well for him. Gamst said he’ll service about 30 homes in an average week. After hearing about Sadie from commercials, people will ask about the dog. “Another lady made the comment ‘Oh, he’s a good guy, the dog likes him,’” he said. Goodrich said his customers relate to Sadie and trust his technicians after knowing about the “Sadie certified” process. Now that Sadie is getting older, she doesn’t jump on people as much, but she still runs around the office, cuddling up to employees’ legs and demanding to be petted.